CHANDLER, KENELM, Ordnance officer and landowner; b. c. 1737 in Tewkesbury, England, son of Nathaniel Chandler; d. 8 Dec. 1803 in Quebec, Lower Canada. Kenelm Chandler entered the British army at about 18 years of age, and was initially attached to the commissariat department and transport service. 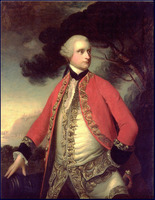 In 1764 he was sent to Quebec as clerk of the survey in the civil branch of the Board of Ordnance. 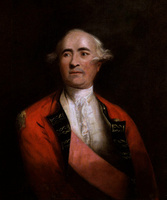 Soon after his arrival he also served as acting barrack master, in which capacity he had some involvement in the disputes between Governor Murray* and Brigadier Ralph Burton*. 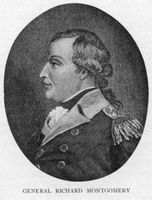 In November 1775, following the outbreak of the American revolution and the invasion of Canada [see Benedict Arnold; Richard Montgomery*], Chandler was also appointed assistant commissary of artillery. He was present throughout the siege of Quebec in late 1775 and early 1776 and for his services was further made barrack master at he aux Noix and Fort St Johns, on the Richelieu, in December 1776. The following year, as assistant commissary in the artillery, he accompanied Lieutenant-General John Burgoyne*’s expedition as far as Fort Ticonderoga (N.Y.), where he remained until that post was evacuated at the end of the year. Subsequently, he was stationed at Fort St Johns; still clerk of the survey and assistant commissary in the artillery, he also assumed the duties of barrack master there. In October 1779, following the death of Benjamin Rumsey, the Ordnance storekeeper, Chandler was named to that post, thus becoming the head of the Ordnance’s civil branch in Canada. Since this promotion required that he be resident at Quebec, his brother Thomas was appointed his deputy at Fort St Johns. In the autumn of 1782 Chandler found himself in a serious dispute with Alexander Davison and John Lees, partners in a military supply firm with which Chandler no doubt conducted business as Ordnance storekeeper. Chandler’s relations with the two merchants deteriorated, and Adam Mabane* was to note on 30 October that “in consequence of some Transaction at ye Coffee House Davison and Lees desired him to meet them on the Heights where he exchanged a shot wt each of them”; no one seems to have been injured. While continuing to hold his other appointments, Chandler had been promoted in 1781 from assistant commissary to commissary and paymaster in the Field Train, positions he continued to hold until the general reduction of the artillery staff in March 1785. 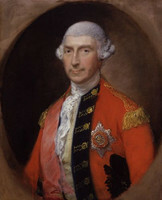 In recognition of the “great merit” shown in the discharge of his duties, Governor Haldimand appointed Chandler barrack master at Quebec in January 1784. Shortly thereafter Chandler and the Ordnance were involved in furnishing implements to loyalist families then setting out to create new settlements in Quebec. In 1785 Chandler occupied a spacious two-storey house next to Thomas Scott on Rue des Pauvres (Côte du Palais). 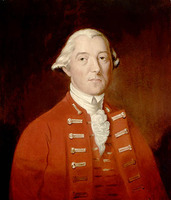 After Haldimand’s departure from Quebec in 1784, Chandler acted as agent for the Haldimand property at the Montmorency Falls, a task which he performed much to the general’s satisfaction. In 1791 he witnessed the probate of Haldimand’s will, and at the sale of the Montmorency property in 1799 he was attorney for Haldimand’s heir-at-law. In 1786 Lord Amherst* had named Chandler his agent to promote a long-standing claim to the Jesuit estates, promised to him as a reward after the conquest of Canada [see Augustin-Louis de Glapion*]. In December of the following year Lord Dorchester [Guy Carleton] appointed a commission to report on the location, condition, monetary value, and legal status of the Jesuit estates as well as on the nature and quality of the soils; Chandler was named first commissioner. He was obliged to prod his colleagues along in the face of obstacles placed in the way of their investigations by the Jesuits. Finally, in May 1789, despite the objections of Gabriel-Elzéar Taschereau and Jean-Antoine Panet, Chandler, with the aid of Thomas Scott and John Coffin, pushed through a report concluding that the crown had the right to grant the estates to Amherst; the commission did not, however, designate the precise properties to be granted. Later that year, fearing the political consequences of such a grant, Dorchester refused to act on Chandler’s petition requesting on Amherst’s behalf letters patent to the estates. Chandler appears to have had an active interest in agriculture, and in 1789 he was among the initial subscribers to the Agriculture Society in the District of Quebec; the following year he served as a director. In 1792 he applied as leader according to the system of township leaders and associates [see James Caldwell] for two townships north of Quebec to be called Stoneham and Tewkesbury. 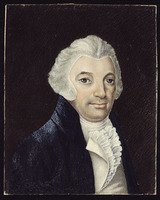 Philip Toosey*, one of Chandler’s associates, was able to establish a farm in Stoneham well before the grant of that township was officially made in 1800, when Chandler personally received 1,200 acres. The following year Chandler added about 8,500 acres bought from several of his associates for around £200. By 1802 he had begun developing Stoneham and had himself established a small farm there. In anticipation of the grant of Tewkesbury, he had already signed agreements in 1798 with many of his associates for the simple transfer to him of their shares once the grant was made, and in 1799 he had even tentatively sold several lots to Mathew Bell* and David Monro*. When the township was granted the following year, however, Chandler was excluded from the list of grantees, although his brother-in-law, George Wulff, received 1,200 acres. 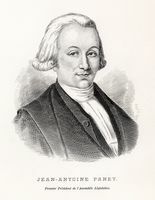 Chandler’s interest in agriculture remained lively, and in May 1802 he was named to the board for the encouragement of the cultivation of hemp. On 4 Aug. 1801 Chandler finally married, being then more than 60 years of age. His bride, Charlotte Dunière, was the sister of Louis Dunière, a prominent Quebec merchant. Chandler and his bride at first occupied a house at 66 Rue Saint-Vallier, where Chandler had been living since at least 1795. 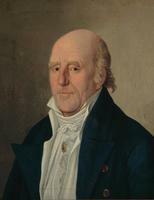 In February 1803 he bought a two-storey stone house on Rue Saint-Henri in which he and his wife lived comfortably. Their furniture was mahogany, the salon walls decorated with 36 small paintings, and the cellar stocked with port, Madeira, and other wines as well as rum, cider, and beer. Chandler’s library of 168 volumes contained books on agriculture, history, geography, philosophy, and science by such authors as the Comte de Buffon, the Earl of Chesterfield, Edward Gibbon, David Hume, and Joseph Priestley. He frequently gave friends the keys to his farm in Stoneham for parties which lasted several days, and kept it provisioned for their use. Less than two and a half years after his wedding, Chandler died at his home following “a painfull illness, which he bore to the last with exemplary fortitude and resignation.” He had served the government in Quebec for almost 40 years and, in the words of the Quebec Gazette, had been “equally estimable in his public and private character for integrity and goodness of heart.” Apart from his home at Quebec valued at £850, Chandler owned four houses in Tewkesbury, England, producing an annual revenue of £234. Although he had debts totalling £7,530, of which £7,165 was owed to the government in his capacities as Ordnance storekeeper and barrack master at Quebec, Chandler was creditor for debts totalling more than £10,600, including £573 from John Blackwood, £1,803 from the firm of Blackwood and Patterson, £1,654 from James Tod, and £1,241 from Louis Dunière. His estate, of which the net estimated value was £4,730, was divided between his wife and a natural son, Kenelm Conor Chandler*, who was born to Elizabeth Conor about 1773 and who would himself occupy the post of barrack master at Quebec from 1811 to 1819. ANQ-Q, CN1-256, 31 Oct. 1796; 29 Jan., 5, 23 Feb. 1798; 25 Feb., 2 Nov. 1799; CN1-262, 26 févr., 25 juill., 8, 25 oct., 12 déc. 1803; 13 nov. 1804; CN1-284, 27 déc. 1798, 21 mai 1800, 13 mars 1801; CN1-285, 7 avril 1802. BL, Add. mss 21666; 21684; 21720; 21723; 21727; 21732; 21736; 21737; 21744; 21816; 21850; 21890–92. PAC, MG 23, GII, 1, ser.1, 2: 219–22, 240, 280; GII, 22; MG 24, A6; MG 30, D1, 7; RG 1, L7, 35–36; RG 8, I (C ser. ), 29, 505, 511, 546–47, 744. [Adam Mabane], “Some letters of Mabane to Riedesel (1781–1783),” ed. Édouard Fabre Surveyer and Dorothy Warren, CHA Report, 1930: 81–82. Quebec Gazette, 24 Nov. 1766; 1 Sept. 1768; 14 Feb. 1782; 17 March 1785; 23 April 1789; 28 Jan., 25 March 1790; 5 May, 15 Dec. 1791; 11 April 1793; 13 Feb., 3 July 1794; 27 Dec. 1798; 18 July 1799; 20 May 1802; 15 Dec. 1803; 8 Jan. 1818; 18 Feb. 1819. Langelier, Liste des terrains concédés, 897. Burt, Old prov. of Quebec (1933), 86, 102. R. C. Dalton, “The history of the Jesuits’ estates, 1760–1888” (phd thesis, Univ. of Minn., Minneapolis, 1957), 93, 111–15, 118–28. A. St-L. Frigge, “The two Kenelm Chandlers,” BRH, 49 (1943): 108–13. Glenn A. Steppler, “CHANDLER, KENELM,” in Dictionary of Canadian Biography, vol. 5, University of Toronto/Université Laval, 2003–, accessed April 19, 2019, http://www.biographi.ca/en/bio/chandler_kenelm_5E.html.